In 2018 we finally added our third showroom and closed our gallery in downtown. Glasshouse I and II are now ready to welcome you. We have now around 450m2 surface, able to make even 2 exhibitions together and to make some events. 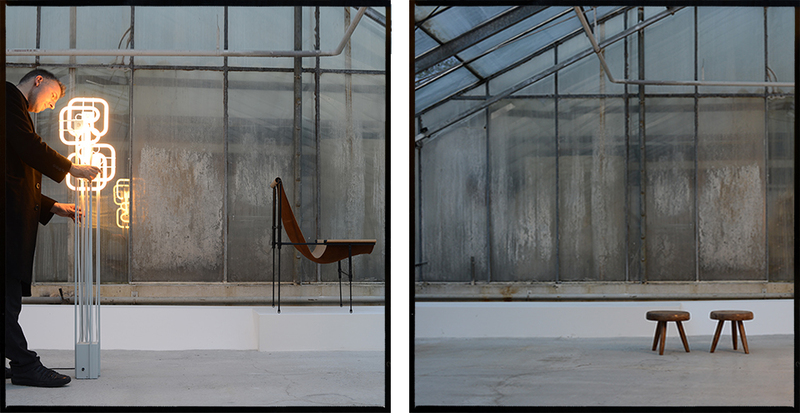 We kept the industrial character of the glasshouses, fitting to the raw artefacts we have. In 2019 we will continue with an additional alteration of glasshouse I. Solving technical problems. Than I'm happy to connect gasshouse I and II and activating the exterior space too. Looking for a great party season. Champagne, Cognac, and Gin are waiting for you. We are looking forward to see you here (just by appointment). This discussion between Martha Kern and Pedja Hadzimanovic explores the metaphysical character of Chandigarh's design rather than its historical context or facts. We are accustomed to employing our minds - our faculties of reason and intellect - so we understand easily the meaning and value of a work of art; but art is also metaphysical and emotional in nature and requires us to use our unconscious as well, especially when a work is complex and profound. Art and design is about more than just decoration, it also acts as a mirror of our own being. What do you like about Chandigarh‘s design? I love Le Corbusier and his cousin Pierre Jeanneret, both of whom left us fantastic buildings. There must be a reason why we consider them among the most important architects of the 20th century (laughs). Most architectural theorists respect their work because it pushed the concept of modernity, but what makes their opus so rich is the existential questions it raises, which give their designs a spiritual dimension. ...The philosopher Walter Benjamin highlighted the ritual aspect of art, the fact that it acts as a gateway to our subconsciousness, with its fears, lusts and other emotions. This is where art and design become intense. But they designed for a modern society and promoted a science-based rationalism. That contradicts your point of view. Of course, and Chandigarh is a city that aimed to create an ideal of a modern and rational way of living. But, to be honest, their buildings were often complicated and not very functional (laughs). But they were also able to invest their rational ideology with an irrational and metaphysical aspect. Le Corbusier once defined architecture as serving the beast, the heart and the spirit. (servir à la bête, et au coeurs, et à l’esprit). That is quite anti-rational, and emphasises the animalistic aspect of perception. Behind the facade there exists a deeper layer, one that touches our soul. Is that the key to understanding their objects and architecture? I think so, but I would avoid the word understanding. Art is a medium that works with pictures and creates many different sense impressions. Some appear illogical and are not always even clearly understandable – so art acts more like an oracle. Through art we get a vision of the meaning of eternity, life, death, freedom, grandeur, playfulness or banality. The abstract nature of art encourages us to pose questions, which can be quite existential. Finally, we care less about the artwork itself and more about its ability to express emotions or spiritual ideas, which are more profound than rational thought. Can a simple table really contain such complexity? Sure, otherwise it wouldn't touch us. For example, Jeanneret‘s library table looks really banal, and the proportions are clumsy.1 But that roughness also expresses a radicality, provoking essential questions about being. This table represents purity, as if everything superfluous had been erased. We become curious about the existential or the unspoiled. Here art and design prompt us to reflect on ourselves and our inner being. So you think the table shows some deeper truth? and the rest is thin. Truth and illusion are both present and show a specific world view. So it's the complexity of the human being that you are trying to find in these objects? That is what touches me most. These pieces are tools to understand ourselves, which are eternal topics and always relevant. I don't care about zeitgeist and mannerist questions, I need depth to become stimulated. But I think that each person is touched by these objects in a different way: by their formal simplicity, informality, rough character, and rich patina, which bring each piece alive, and by the incredible story of these beautiful pieces, which were thrown away in the 1990s like trash. There are so many layers in his objects and each time you see a new one. Why are these design pieces so high priced today ? The topic of value is completely different from that of quality. OK, these objects are expensive because the most important architect duo of the 20th century designed them. Each piece has different dimensions and is unique, which is quite different from the industrialised mass production of someone like Eames, Mies van der Rohe or Kjaerholm. Chandigarh has finally become a World Heritage Site and now attracts much more attention. Additionally, the pieces have an incredible patina, which shows their history and is quite rare for modern furniture. In economic terms, value reflects how rare and important an artwork is – issues that are essential for me as a gallery owner. But if you want to approach these objects more deeply, you need to have your own response and avoid preconceptions. Don't you think it's perverse that this design for poor people has become so expensive? 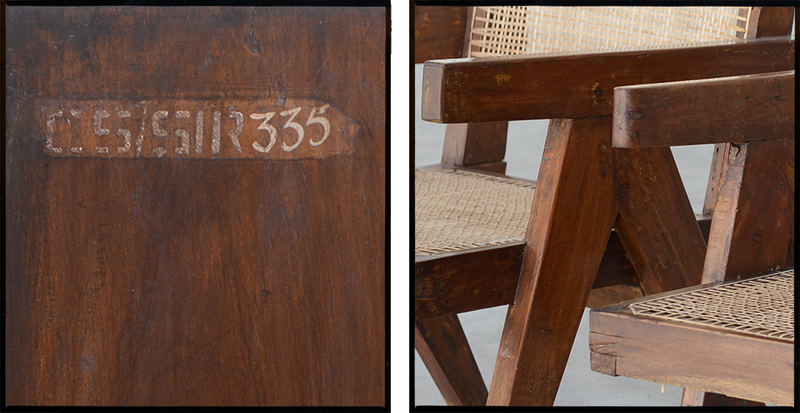 Le Corbusier and Pierre Jeanneret made designs for rich and poor in the same way. They were looking for a language that suited humans but not one for any specific social class. 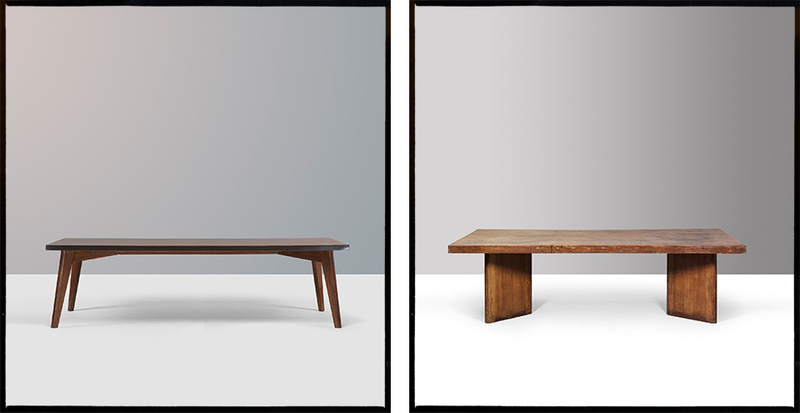 But now people pay $100,000 for a table by Pierre Jeanneret – isn‘t that crazy? It‘s probably crazy if you have no money. If you can afford it, then your budget is higher and it looks different. Imagine that you are very rich and can choose between a good table of $1000 and my fantastic table of $100,000. If you don't have to worry about money, why would you buy the cheap one? My table is magic, look at it, it's a primitive artefact – the ascetic roughness, the archetypical shape, its generousity. Additionally, this piece is one of the most important tables of the 20th century. That is the beauty of money (laughs), you can exchange it for something spiritual, like this piece of design. Yes, perhaps it's perverse to pay $100,000 for a table, but I do it too. I'm not afraid to do things like that. We sell just authentic Mid-century pieces. All wooden parts are original. We don’t replace damaged parts by new once or from some other damaged Jeanneret pieces. Sometimes pieces have been repaired between 1960- 1985. This reparations have already a strong patina and a part of their history. That doesn’t reduce the value, sometimes they are very beautifully done, what makes them even richer. Still we will mention that. 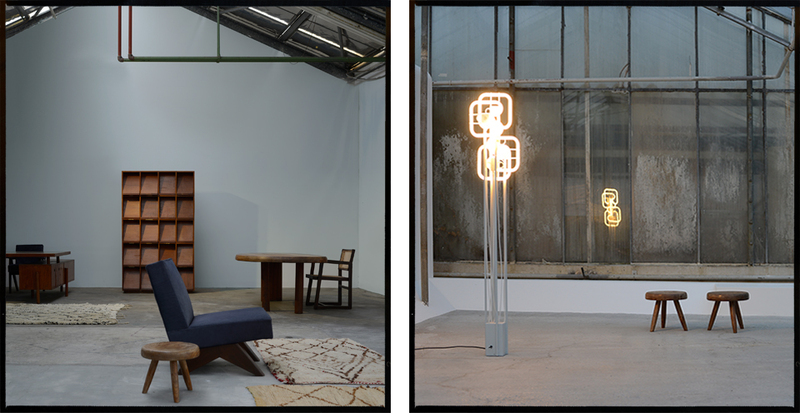 Pierre Jeannerets objects imply always a story of destruction and repairs. They illustrate a collage of history. Pedja Hadzimanovic picks personally all pieces. He buys just unrestored pieces, so all traces and important indicators of their authenticity are visible. Old cracks, many layers of scratches, old traces of worn lacquer, acid of the hands of people, which made some parts more oxidized and darker are important to see. This part is so important because in India there are no invoices and serious documents of authenticity. Serious researches about the history of provenance are difficult. So we don’t buy restored pieces because too many important indicators are already vanished and we would not be able to guarantee their authenticity. Cushions, cane, upholstery, foam are in most cases redone by us. That is a standard and doesn’t reduce their value. On some rare Museum quality pieces and rare collector pieces we keep that parts originally. We mention that always. Sometimes we have to dismantle the objects, so we replace some inner screws by new once. That will not be visible from outside and will give an additional stability. That are collector pieces, the value is defined by their authenticity. So we make a very soft restoration to not destroy too much of it. On the other side we make the pieces suitable for a normal use. So there is always a compromise. Some very softly restored chairs can shake. They didn’t fall apart in the last 50 years, so they are secure. We would mention if they are shaking. Still we avoid to sandpaper them completely and making them looking like new. That destroys their unique beauty and value. You will see holes, small cracks, old chimps, irregularity, holes of bugs, imperfections. Especially on the parts underneath we don’t do anything and show their authenticity. You get photos, so you can check if you like this raw character. Keep in mind that are antic pieces. They are for daily use. But especially cane seats are always a bit more fragile. Here we recommend to use a cushion. Pedja Hadzimanovic personally doesn’t do that and had no problems. Still cane is fragile and it could need after several years a partial or complete replacement. The wood have such a lot of patina, so if you add a scratch don’t worry. It will be one of thousands. Add a bit of polish or a drop of stain and they are gone. That makes them very easy and if something breaks, even don’t worry here. Bring it to a carpenter, he can glue it together and with a bit of sandpaperwork and stain it gets invisible. Continuing the history of that furniture pieces. We are proud to open our first exhibition here. It will be "Tom Strala vs. Pierre Jeanneret". We are bringing raw design together. A selection of non-decorative design artefacts is showing the essential depth of design, making the beauty of the simplicity visible. We are looking forward to see you here (just by appointment).